Shipping: Currently this item cannot be shipped outside of the U.S.A. The NESCO® JS-5000T is our newest Jet Stream2 Oven® that cooks with superior quality. It is up to 3 times faster than a conventional oven, up to 2 times faster than convection ovens and is as fast as a microwave oven but delivers superior taste and quality food. Unlike a microwave oven, the Jet Stream 2 Oven® has a six in one cooking system with patented cyclonic system that makes it possible to roast, grill, broil, and air fry creating browned tender meats. It also steams, and bakes which produces tender vegetables and fluffy baked goods. I have used one of these since they first came out and although I have tried the other similar products out there I have never found one I liked as well as the Jet Stream despite the flaws and this latest purchase is my forth one so you can see I am addicted. I bought this one with much apprehension since to me it sounded like it would be more like the competitors then the old jet stream but I received it and tried it and am delighted, it has the desirable features of the old model but tackles the problems that the old one had and although my use has been limited since I just received it I had to give it a try and it came away exceeding my expectations and would advice all to give it a try if you are in the market for a new one for I am sure you will feel as I do. I have used the jet stream oven since they first came out. they are great for all kinds of cooking and when you have left over French fries you can bring them home and rewarm them up in it and they don’t get come out crispy like they should. This new one is different but I like that the cooking head comes off unlike the older one.. Just got it so I plan on have some good meals from it. I recommend it to any one that does not want a lot of grease in there food. 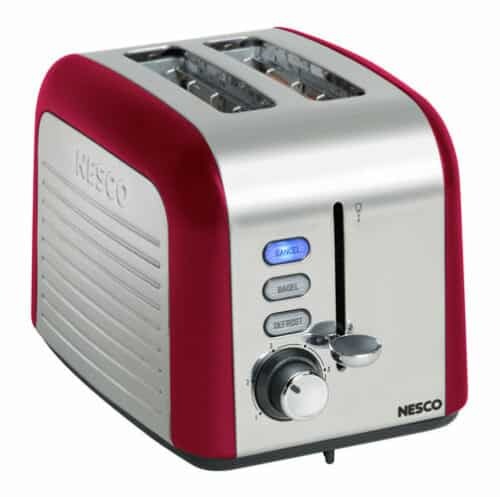 This is the best kitchen appliance I ever owned!! I just love it for the user friendly and ease of clean up after use. Food has never tasted as good especially chicken wings are to fly away for!!!! Mine has been broke down for some time now and I’m unable to find parts or a new one like it so I’m begging you to ship to Canada. Your web site says you do not ship to Canada. Please where can I purchase one?? I just received the new model JS-5000 and I really like it over the previous model! The previous model had a problem with plastic dome cracking and also had a problem with cold solder joints on the AC cord where it’s soldered into the main board. I am a technician, so I knew how to repair it, but it grew tiresome, always having to re-solder the main board. Also, the previous model had a problem with light weight food flying around the dome! The new one, no problem, the food stays put! So far every flaw from the previous model has been corrected and from a technicians point of the view, that’s a good thing! These machines are easy for me to repair, but I shouldn’t have too, not until years after I have owned it anyway! I received mine and wrote my first review in Oct. under Joan well a number of months have gone by and I have not been disappointed in the least I use my Jet Stream at least 3 times a week and other then wishing they made a extender for the top to sit on so I had more depth for certain foods I absolutely love it. Hopefully as they sell more units they will consider it, I had the extender for my old model and although I didn’t use it often when I needed it, it was a Godsend. I thought I would update my review to let purchasers know that they won’t be disappointed in their purchase if they are anything like me. I don’t like it at all ! The food takes longer to cook than in the original jet stream oven, it doesn’t get very crispy at all . The size is good and ease of cleaning is nice but, I should have just stuck with the original jet stream oven .. Which I’ve owned for over 10 years and gave as gifts to people .. not this one .. I have owned Jet Stream ovens since they were advertised on TV. I have had them camping, on the boat, at the cabin and have given them as gift. The new one had we wondering if it would cook the same. It took a little time to get used to and now it is used daily. I am ordering a unit for my Grandson for this birthday today. Keep up the good work. Love these products. I would not even consider this a “Jet stream” oven, more like a really awkward to use convection oven. You have to take the top off and find somewhere to set down a huge piece of 400 degree glass. This is my 3rd jet stream and will be the last new one! (unless they make the old style again) I have used a jet stream oven for 25 years and there is no comparison when it comes to speed and the quality of the food. This oven just doesn’t cut it. I was quite hesitant to buy the new version of the Jetstream — had even bought a couple of older models via Ebay in an attempt to stay with the old style. Alas, my Ebay “investments” didn’t turn out well as neither machine worked long at all. SO, I finally bit the bullet and bought the new model. Having read a few of the reviews on this page prior to purchasing, I had little hope that the Jetstream would cook anywhere nearly as well as the old one, but wow! I was VERY pleasantly surprised when the first steak I fixed came out better than ever before — beautifully browned around the edges while tender and juicy within. Then I tried chicken thighs — with the skin on. Same result as with the steak — REALLY crispy outside while tender and juicy inside. I’ve also fixed vegetables with excellent results. Have not yet tried breadsticks, so am unsure whether they will turn out as old — certainly have hopes, though. I returned to this website today to buy yet another machine as a wedding gift — checked for accessories for this version, but none seem to be available, not even the chance to buy additional liners, etc. I truly hope NESCO will soon make such items available for purchase — I would also be VERY much interested in something which would increase the size of what can be cooked, perhaps an expander ring of some sort??? Want also to comment on the new style’s glass lid — I like it very much! Had had concerns since another reviewer commented on the clumsiness of handling the lit, but I do not find its handling at all difficult. The handle on top is cool to the touch despite the temperature at which the oven is operating, and the lack of a hinge connecting the lid always to the oven is not at all a problem since the lid has a built-in, easily used stand. Overall, I highly recommend this new oven, but would certainly appreciate having some additional options to buy accessories designed exclusively for this model. Generally the new version works well and is easier to clean up. BUT I CAN’T ROAST A CHICKEN without the heating element touching the bird. It has NO EXTENSION rings or anyway to make the space bigger. Even when turning the bottom holder to allow for the biggest area it is still too small. I REALLY WISH I HAD ORDERED THE OLD STYLE!!! Or, that there was a way to “extend” the cooking area to make it larger. VERY DISAPPOINTED. Even though I had to get a new one each year (old version) as the motor would give up, it was worth it. Over the course of 20+ years, I have had 4 of the Jet Stream ovens. The first one I bought from American Harvest when they first came out. I love these ovens. I like the new model, although I prefer the old style. That said, having bought this latest one in June of 2015, mine has already gone silent after light use. It has been used perhaps 2 or 3 dozen times over 7 months. Now the power unit won’t come on. Fortunately, it hasn’t been a year, so I got an RMA number to have it fixed. The one previous to this lasted 4.5 years. Again, I am glad they are going to fix, but I can help but be a little disappointed. I’ve had 2 her stream ovens. I’m always having problems with the plastic cracking. I’m thinking about buying a new one but not if the lid is plastic. I love the way it cooks. Everyting is delicious. We absolutely love our Jet Stream 2 air-fryer! We have had other air-fryers and the Jet Stream 2 is vastly better. The reason why is the Jet Stream 2 has way more room than other air-fryers. I can reheat 3 or 4 slices of a large pizza at a time. I can cook over half of a bag of fries and only have the fries one layer deep which makes them nice and crisp. Chicken patties, nuggets and fish fillets come out great. My favorite is leftover fries from Texas Roadhouse, they are so much better than in the restaurant. Pork Chops come out super juicy and I can cook my kids Pillsbury cinnamon rolls in less than half of the time it takes in the oven. I have bought lots of kitchen appliances and the Jet Stream 2 is the only one that has a permanent place on our countertop. We have used our Jet Stream 2 every day for over two years without any problems. But just to be safe I bought a second one for a backup when Mills Fleet had them on sale. I do wish they made a stainless steel rack for it. We have had to replace the rack twice so far because the chrome plating comes off and the brass is exposed. I can not find any racks in the store that will work so I have to buy them from Nesco. My wife says it is because I wash the rack in the dishwasher, but a stainless rack would be dishwasher safe and should not cost much more than the chrome plated rack. If your thinking of getting one of the black air-fryers where the basket/door slides in, don’t because you have to stack your food on top of each other and the two that I have had, the door/ basket always becomes warped and you have to start to slam them shut and then they break. Thanks Nesco for such a great product. I am beyond upset about how soon this thing died, but I am hoping (given the changes) the company is maybe offering to refurbish/replace units that are going bad unusually fast. I am going to contact them to see, but I am writing this review while I’m here. The original Jet Stream was AMAZING! My parents had one that was used almost daily for years (more than 5). They bought me one and I thought it was going to last forever (it too lasted well over 5 years). So, I replaced it with the new model, Jet Stream 2, which I thought was going to be an excellent replacement… It worked well after we got used to the differences, but after less than a year, the light went out and it just stopped working. Considering what I paid for it and the quality of the previous version, that is unacceptable. Love the Jet stream ovens for years. My mom recently purchased the new jet stream oven with digital clock timer. After a couple uses the bottom of the pan began to peel off. The lid although I love it being glass and it not breaking like the plastic domes that it used to be I’ve burned myself on the lid. I know it says caution hot but you still accidentally burn yourself. As for me being left-handed it’s a little difficult for me to use but I’ve managed. I don’t care for the new design but I still love how I can quickly cook something from the freezer within minutes. I would give 5 stars any other day but just not to excited about the new design. Also it seems to be louder than the others. Our family had used this for a long time with the early models. This was so handy when the kids were growing up. Fries and left overs such as pizza and fried chicken is a snap to heat up. I gave this to my sister and my kids and they continue to order this appliance. Thanks for all the upgrades easy to clean and store. Jet Stream oven2, not even close to the Jet Stream Oven, trash #2 and go back to the orginal. So disappointed that you discontinued the original Jetstream. It was the best ever and I’ve been using it since it first came out with the infomercial in the 80’s. This one just doesn’t measure up AT ALL. But the Aroma 4.7-Quart Turbo Air Fryer/Multicooker has taken your original idea and given us a version of the original JetStream. I’m happy again! I did enjoy the years of great food I got from the original JetStream. Thank you for that!!!!! It is the jet stream oven,that I have always wanted to buy. No regrets to buying this machine.